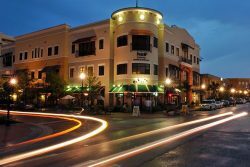 Yes, Kissimmee is located just south of Orlando, but this city has enough entertainment, activities, and attractions to make a name for itself. Kissimmee is surrounded by lush landscape and there are many ways to enjoy the views; whether it be gliding through the treetops or floating above in a hot air balloon, outdoor lovers will be satisfied. Kissimmee Lakefront Park, Shingle Creek Regional Park, and The Disney Wilderness Preserve are excellent places to enjoy and appreciate the beauty of middle Florida, too. Gaylord Palms Resort & Convention is a paradise within a paradise, as this resort is almost like a giant indoor greenhouse, with gardens and fountains that awe. History buffs will be happy to know that Kissimmee has their back, with Pioneer Village, Kissimmee Air Museum, Museum of Military History, and the Kennedy Space Center. Other Kissimmee favorites include Island Grove Wine Company at Formosa Gardens, Silver Spur Rodeo, and Fun Spot America. Whether you want to get away from the crowds in Orlando, or simply want to explore what this city has to offer, Kissimmee has you covered. Howl at the Moon is the country’s biggest name in Dueling Piano entertainment. Howl2GO delivers our amazing, high energy show to any venue in the Kissimmee area. When you bring Howl2GO to Kissimmee, you can be certain you’re getting the true Howl at the Moon experience, and with that comes the assurance you are booking only the best dueling piano performers in the country. Our fun, energetic performers are perfect for all events anywhere in the Kissimmee area. Howl2GO provides all the production you need to make your event look and sound amazing. We have top of the range PA sound systems and custom built lighting shows that you will not see anywhere else. Our competition simply does not begin to come close to our production! 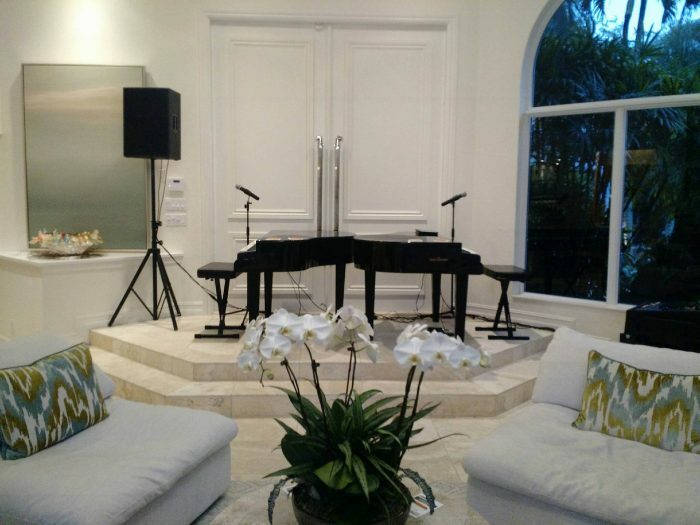 We also supply our custom built electric baby grand pianos that can be transported into any size or shape venue in the Kissimmee area. Regardless of how many guests you’re expecting, from 20 to 2000, we have you covered! Howl2GO Dueling Pianos by Howl at the Moon brings only the absolute best entertainers to your event. Whether you’re planning a corporate event in Kissimmee, a wedding or private party at your home, we’ll deliver customized entertainment leaving you and your guests dancing and singing along all night. We are the first choice for all types of school, church and charity fundraisers and we ensure all our songs and material is suitable for everyone in attendance. Telling your guests in Kissimmee that Howl at the Moon is providing the entertainment, is a sure fire way of attracting more people to your event! 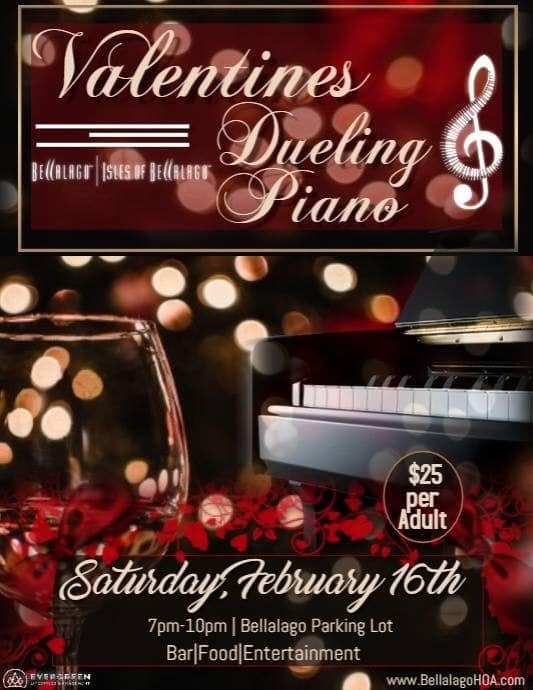 Dueling Pianos in Kissimmee is all we do! Howl2GO has a dedicated team of professionals on staff. From our sales manager who will help build out your vision, our production team who will communicate with your venue in Kissimmee, a wedding specialist and, of course, our world-class entertainers, picked specifically for your event. We only bring Howl at the Moon trained musicians, all of whom have experience playing at one of our locations nationwide. We are a perfect choice for your wedding – we keep numerous couples in Kissimmee and their guests dancing all night, as well as taking care of all your ceremony, announcements and special family dance needs. Don’t risk booking a local fly-by-night company that may not even still be in business when your wedding date comes around, nor one that hires freelance players. Howl at the Moon has been rocking since 1990 and our reputation precedes us. We have a dedicated reviews page so you can read testimonials from hundreds of our thrilled clients in Kissimmee. Our Facebook page features regular updates, and following us on Instagram and Twitter means you’ll stay up to date on where we’re playing next near Kissimmee FL.